I’m sure there are a thousand Cougar Countries, by different names, across the country. Old burger joints that have clung on into the millennium with their bygone charm and particular fry sauce. 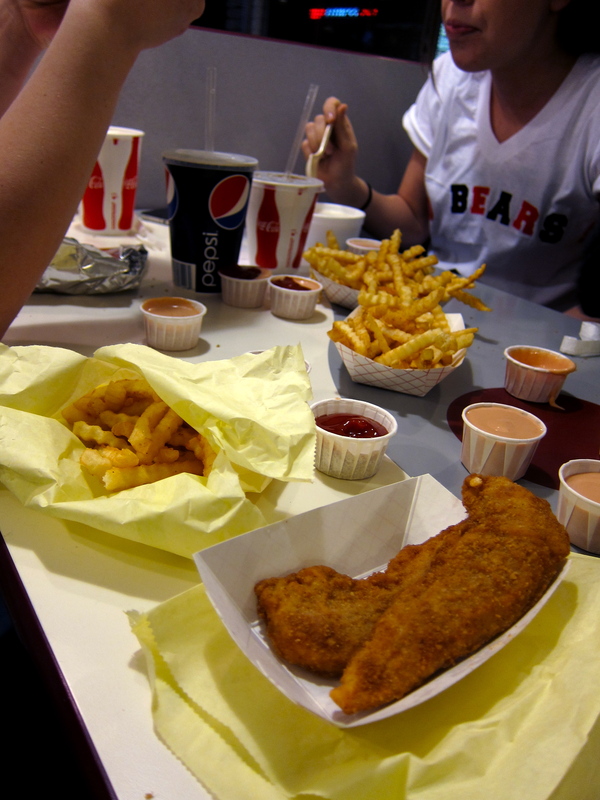 We frequented Cougar Country scarily often in high school, with our teenage boredom and metabolisms- Lauren would always get a burger, me chicken strips (mostly because they come with thick, white, greasy toast.) 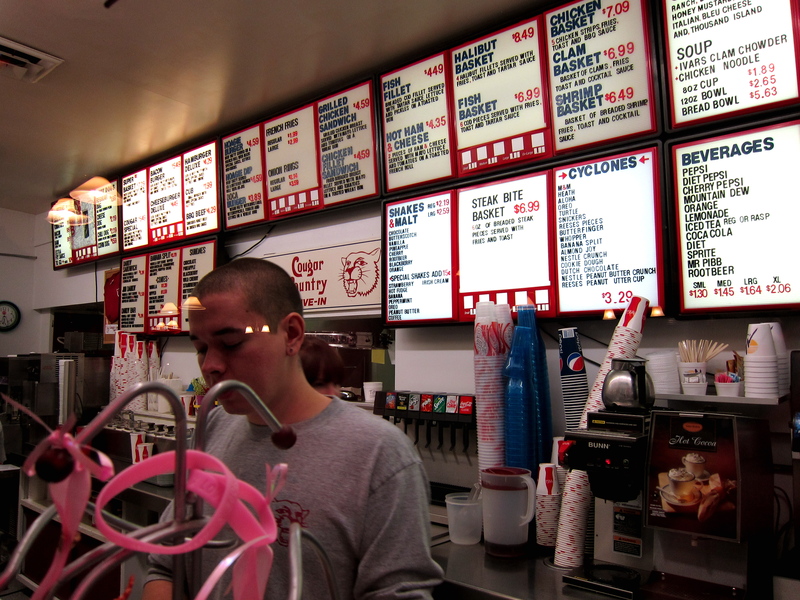 We got back to our roots with a Cougar Country visit and a varsity basketball game, sucking on blackberry milkshakes in the bright gym. I never noticed the Clam Basket before… kinda scary.Hot Ham n’ Cheese sounds pretty good though, in a terrible American cheese and griddle grease way. In our many C.C. visits, Laur and I developed ketchup/fry sauce systems. Gotta have both, Lauren mixes them in one cup, I just double dip. 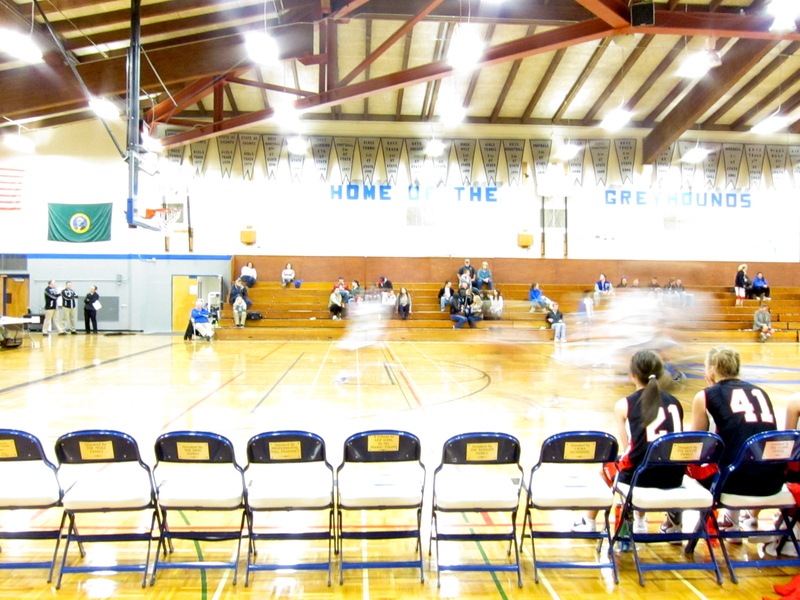 Over-exposed basketball. New camera! Exciting and happy times, a little Canon that lets you pretend you’re using your old-fashioned Nikon and set the aperture and shutter speed yourself! Way more fun and interesting and better than my old point and shoot. Tell me more about your camera! I lost my point and shoot in France. Debating ditching the point and shoot (my iphone takes decent pics) and going for something a little nicer. Thoughts?